It is ironic and very sad that such an ominous judgement should be handed down in the same month as the anniversary of the death of a great pro-life champion, Alison Davis, who died on December 3 2013. 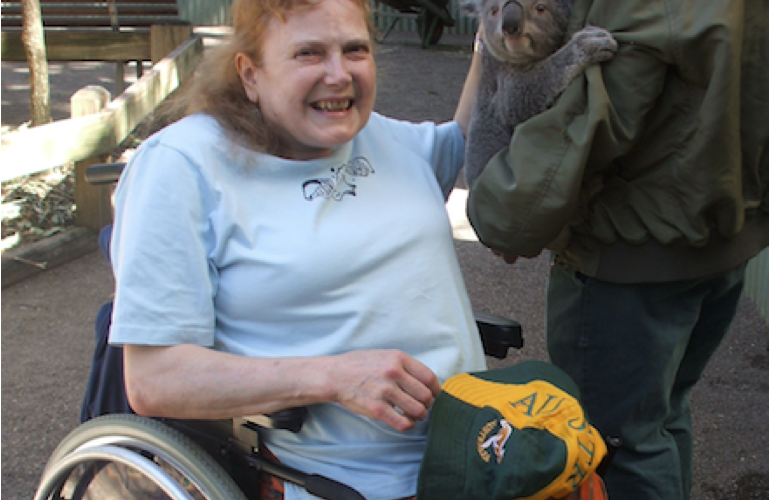 Alison, whose life and achievements were remembered in a talk given by her long-time carer, Colin Harte, at the SPUC conference in September, was an improbable champion of life. 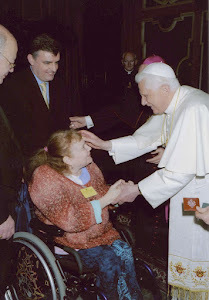 Born with spina bifida and for many years a keen feminist and supporter of “a woman’s right to choose”, as well as being an atheist, her attitude gradually changed when she learned that disabled babies like her were sometimes starved and drugged to death after birth. Protesting about this brought her into contact with SPUC in 1981 and for many years she helped organise their Handicap Division (later to become No Less Human.) As a disabled person herself, Alison always rejected any political strategy that meant “bargaining” over the relative worth of a baby’s life; she could not accept that “healthy” babies’ lives might be saved by lowering the legal age limit for abortions, but at the expense of those whose lives were judged “incompatible with sustained survival”. For her, especially after she became a Catholic in 1991, each human life had infinite value. As Colin Harte said in his speech, Alison was steadfast in her belief “that human beings have a value that is intrinsic, incomparable, sacred, priceless – infinite.” Thus she was adamantly opposed to the David Alton Bill of 1988 that had accepted the strategy of “chipping away” at the Abortion Act to gain what is known as incremental protection of the unborn. Colin told me he believes that one day Alison will be acclaimed as a great saint of the pro-life movement; the spiritual and physical suffering she endured in her life, and which she came to see as “the greatest privilege possible in the world” were eventually to lead to her witness of a holy death; she chose to forgo painkillers at the end so as to be able “to pray, to suffer and to love” for others as long as she was alive. This blog was originally set up to give information about the funeral arrangements following Alison's death on 3 December 2013, and to provide a means of preserving some of the many tributes expressed after her death. Its ongoing purpose will be to provide further information about the extraordinary woman that Alison was. For those who knew her, Alison - or Ali as she was known to some - was an exceptional woman who attracted people to her because of her honesty, sympathy, generosity, kindness, wit, joyful good humour, intelligence, integrity and compassion. The author of this blog, who shared her life for more than 24 years, can attest better than anybody to the genuineness of her character. 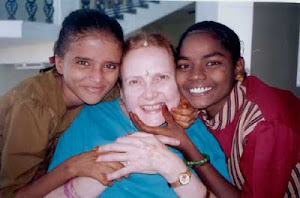 She had a genuine and intense love for people which flowed from an intense love of God. For decades Ali experienced suffering that was physical, emotional, social, mental and spiritual. It was an extreme suffering, which she regarded not only as a "privilege" but as "the greatest privilege possible in the world," because she knew that in her sufferings she could unite herself with and participate in the sufferings of Christ. Ali had been pro-abortion and an atheist. She became pro-life while remaining an atheist for several years. Then in 1991 she was received into the Catholic Church. The Catholic Church wisely does not normally introduce causes for canonisation until at least five years after somebody has died. The author of this blog will be writing an account of the exceptional holiness of Ali's life and death, and will be petitioning the Church authorities to open her cause at an appropriate time. It is the conviction of the author of this blog that Ali is not only a saint but that she will be recognised in due course as one of the great saints. However, he respects fully any judgment that the Church may one day deliver on this.